The True Engineered Hardwood Collection is second-to-none not only in performance but in beauty and elegance too. Ranchero Hickory – The Monterey Hardwood Collection was designed with a historical, European influence making it simply savvy & perfect for today’s trends. This collection captures the beauty of nature, developed using tomorrow’s technology to create a new demand for random width planks. Orris Maple Hardwood– Unlike other wood floors, the color and beauty of these are unique, in the True Hardwood flooring collection color goes throughout the surface layer without using stains or dyes. The results are truly stunning and extraordinarily beautiful, with distinctive features and benefits. Inspired by rich elegance of the historic hardwood floors of Europe, Hallmark features handcrafted wood floors that inspire the essence and distinction of aged timbers. Our Heirloom Collection of tradtional, North American hardwoods is fashioned by hand, finished in a warm array of natrual and richly stained colors and protected with UV crued, polyurethane coatings. 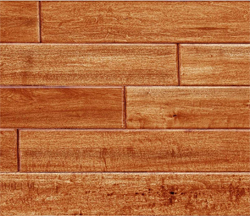 The result is a beautifully styled, handmade, home finish that distinguishes your floor as an heirloom.